If you are already logged into Facebook, a permissions page will pop up. Authorize and you will be connected to that Facebook account. If you are not already logged on, a log in page will come up, once logged in you will be prompted to accept a permissions page. Once you accept permissions, you will be connected to Facebook. 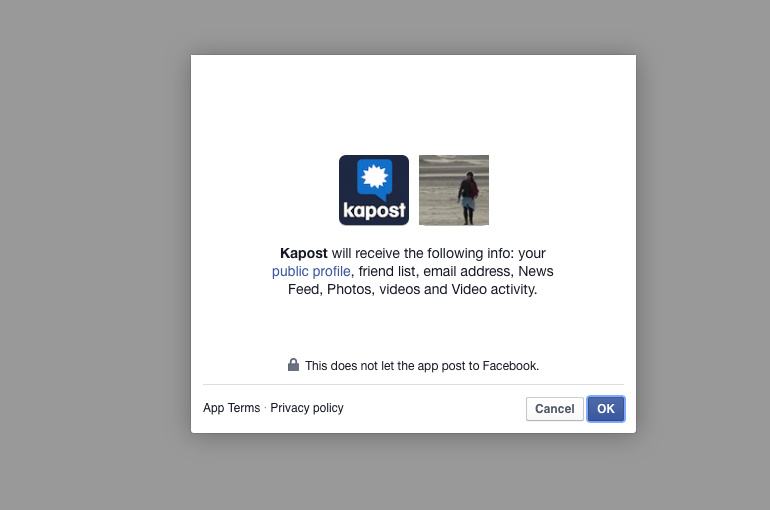 If you wish to connect to company pages, make sure you connect to Facebook with Kapost using a FB user with Admin rights on that company page. When this user connects, they will have the option of adding company pages via the dropdown in their connection. 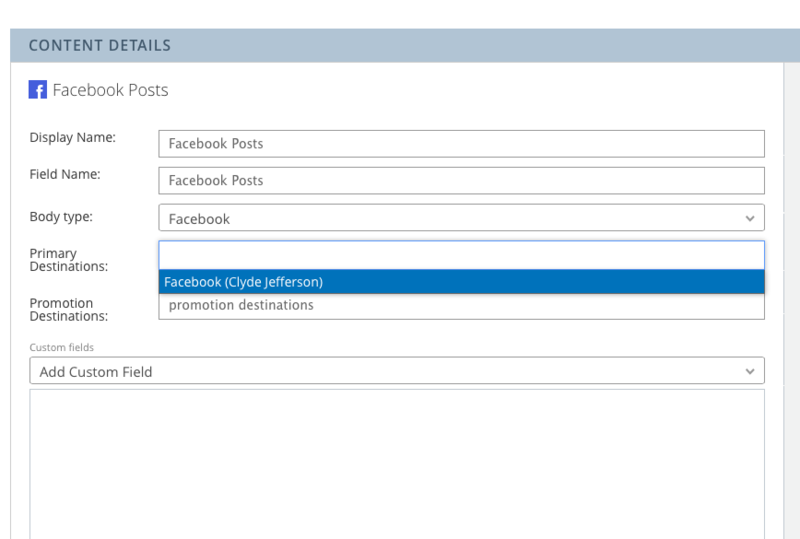 The final step to being able to promote and publish to Facbook will be to assign it as a destination in your content types. You can post to Facebook from Kapost via Primary Posts or via Promotion on another piece of content. Note: You can only assign Facebook as a primary destination if the content type has a Facebook body type (to enable publishing directly to Facebook rather than promoting). If you have any questions about connecting to Facebook, don't hesitate to contact support at support@kapost.com.